Massages are the ultimate solution for achy and tired muscles. They are not only beneficial for you but also protect you from consuming pain meds. Whether you are somebody who works at an office or someone who teaches a class of a hundred, at the end of the day you need something to unwind. And what better than a nice and soothing massage. It is not a convenient option to run to the spa and spend big bucks whenever you need a massage. Although we do not oppose the idea of it, but in most cases, money is a restraining factor. Also, wouldn’t it be better to get a spa-like massage at home? If you are somebody who thinks the same way then a full body massage chair is something you need. It is a one-time investment which lets you enjoy the comforts of a customized massage right at your home. But before choosing this source of comfort, thorough research is required. 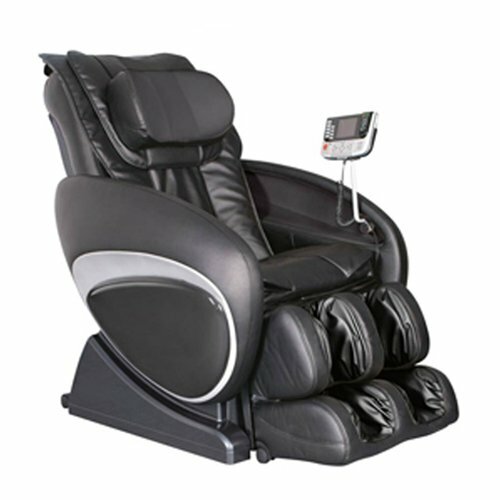 You need a massage chair which has features in accordance with your needs and desires. Thus we have taken up the task to help you out. And today in this review we tell you about the best Cozzia massage chairs. No speakers and audio features. The 16028 by Cozzia is an amazing piece of machinery. Affordability and efficiency come together with this massage chair. It is a zero-gravity chair, which elevates the body and puts it in an astronaut like position. This feature causes the spine to stretch relieving painful muscles as well as improving blood circulation and air entry. The chair comes with a one-touch power recline button which reclines the chair in the blink of an eye. The footrest and the back can be adjusted independently according to your will. The Cozzia 16028 has the ability to scan your body and adjust the massage rollers according to the height of the user. This way a more personalized massage is delivered. Manual massage techniques built in the chair include Shiatsu, Kneading, Clapping, Tapping, Rolling and Vibration. You can also make use of the five preset massage programs with adjustable speed, intensity, and strength. The chair also comes with a partial massage option for your convenience. The massage programs are timed to be 15 minutes long with an automatic shut off so that you can soothe into the massage chair even after the session is over. All this can be controlled with the latest and efficient LED remote. The Cozzia 16028 can also deliver a stimulating air massage owing to the twenty-two airbags distributed evenly throughout the back, seat, calves, feet and neck areas of the chair. To further enhance your massage experience, the lumbar area of the chair provides warm and radiant heat. It is bound to take care of those tired spinal muscles. 15-minute massage sessions with automatic powering off. The Cozzia 16018 has some of the best features which a massage chair can offer. It has an S-shaped backrest which engulfs all the contours of your spine making personalized massage adjustments. This feature ensures adequate comfort and optimum support for your body. It has an air pressure massage system for the seat, calves and feet areas, which takes care of sore and aching muscles in a gentle manner. The inflating and deflating airbags provide a nice compressive massage to relieve muscles of pain and tightness in these difficult areas. The chair is equipped with five manual massage options namely, Swedish, Shiatsu, Kneading, Tapping, Rolling, and Dual-action. The massage rollers can be manually adjusted to match the user’s preference. There are three built-in preset automatic massage programs with adjustable speed, strength, and intensity, which can be made use of too. All massage modes can be enjoyed in fifteen-minute sessions, after which the chair shuts off by itself. This feature adds convenience as the chair does not stay powered on if your massage session gets disrupted by an uncalled for chore. The LED remote is efficiently designed to make all functions of the massage chair accessible with just the touch of a finger. The backrest and the footrest of the massage chair can be adjusted automatically. The Cozzia 16018 comes adorned with soft, black synthetic leather which makes it all the more luxurious. 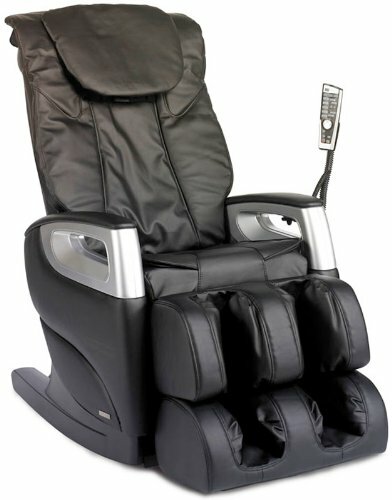 Feel as if you have been transported to massage heaven with this the Cozzia 16027 massage chair. The Cozzia 16027 has a plush leather body which makes it all the more luxurious. This massage chair has the body-scan technology. It detects the contours of your spine and body and delivers a massage which is targeted and therapeutic. The Cozzia 16027 also comes equipped with zero-gravity technology. This feature lets the chair automatically recline to put your body in an astronaut like position. By doing so your vertebrae are subjected to an intense and deep stretch, which loosens tight muscles. Also, blood circulation and air entry into the body are enhanced. The chair has an S-shaped back-rest which comfortably holds your weight and makes you feel relaxed and cozy. There are seven manual massage programs built in the chair namely Swedish, Shiatsu, Kneading, Tapping, Clapping, Rolling and Vibration. You can also enjoy six preset automatic massage programs, all with adjustable strength, intensity, speed and three width adjustments. All the massage sessions can be enjoyed for a varying period of five to thirty minutes. There is a special vibration massage for the seat and an air pressure massage for the back, legs, and feet. All the features of this incredible massage chair are easily accessible with the help of the remote which can also be used to turn the chair off. 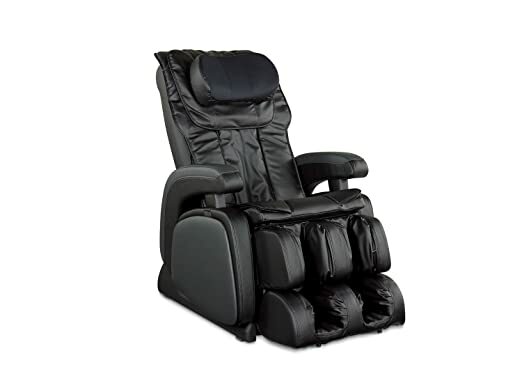 The Cozzia AG-6100 massage recliner works best for anyone who suffers from nasty backaches. The chair has amazing reclining features which gently soothe the spine. The chair comes with zero-gravity technology. The feature causes the whole body to stretch while the chair reclines. The body is put in an astronaut like position loosening tightened spine muscles and providing an intense relief. The vertebrae are given a nice decompressing hit and you feel rejuvenated. The chair also has a power recline feature which makes it super easy to recline the chair into infinite recline positions all according to your choice. This massage recliner has eight large airbags. These airbags inflate and deflate independently in a sequential manner to provide a compressive squeezing massage perfect to soothe tired muscles by enhancing blood flow. The Cozzia AG-6100 pays special attention to the back. The lumbar area of the chair is equipped with special heating therapy. This warm and radiant heat gently soothes the back muscles. To make things further convenient there is a built-in control panel which allows ease of access. All features like zero-gravity, Relax, Heat, Stretch, Recline Back and Recline forwards can be accessed with just the touch of a button. Buying a massage chair by Cozzia can be the right decision for a variety of reasons. They vouch to satisfy their customers with the best of the massage chairs. The company is filled with some of the best engineers and designers which design each chair with personalization and dedication. Cozzia pays great detail to finesse and intricacy. Fine tune details to the way you sit and relax in the chair can be made easily. Cozzia believes that each massage chair should not only ease the pain but should improve the consumer’s overall health. This was the idea which led them to design zero-gravity chairs. They have an incredible customer service which runs smooth and never gives up without solving the consumer’s problem.